Punk Heart's Holiday Auction to benefit THRIVE, a mental health facility in Chicago and Nami (National Alliance on Mental Illness). For our first auction, we are adding one rare/signed/framed new item each day for 10-days. Our goal is to donate $1000 by the end of the auction. We have some wonderful donations lined up from an archive of rarities, so please, dig deep and help a great cause. $30 Gift Box includes a t-shirt, button, sticker, and poster. 20% of the proceeds go to Thrive--a mental health facility in Oak Park, Illinois. John Jughead Pierson & Paul Russel - Punk Heart T-Shirt Bundle includes a two-sided Next Level combed cotton t-shirt w/ a large 18" x 24" signed poster, pin, and 4" x 6" sticker, all shipped in a custom box. The project features prose by John Jughead Pierson, co-founder of Screeching Weasel, Mopes, and Even in Blackouts; the artwork is by John's longtime friend, Paul Russel, creator of the iconic Screeching Weasel logo, and art designer of the seminal X-Box game, Halo. 20% of the proceeds of this project will be donated to Thrive, a mental health facility that provides critical services in the Chicagoland area. The result was an endearing image that reflected John's words--a stigmata etched into a hand, wounded and bleeding. After getting some positive feedback from friends and fans, John decided to offer the design as a package for sale, with a portion of the proceeds going toward mental health programs in the Chicagoland area. The idea is to help others who have been wounded by life and circumstance--to use the punk ethos to make a difference in the lives of wounded people. John then approached Chris from Sound's Rad! who jumped at the idea based on the notion that helping others is not only good karma but an expression of sound values. As John states, "I always have the instinct to donate money out of my incomes, but the reality is, that I don’t trust myself to actually get it done, to achieve that last step of writing the check and sending it. You see, I don’t make a lot of money, in general, and once cash is in my hands I find ways I have to spend it. So in this case I feel more confident in making this particular donation happen because Christopher is an upstanding citizen of the world and he will deduct the percentage to be donated before the royalties reach my grubby fingertips. And since people of his ilk consider me an underground “legend” I can use that pressure to get him to do something I, myself, am incapable of following through to the end. I told Paul that I was concerned with that not being made clear too, but that in the writing I tried to choose words that are aware of the vastness and seriousness of mental illnesses, but ultimately I thought he was right, so I decided to incorporate his words." Co-founder and guitarist of three punk bands, including Screeching Weasel, The Mopes, and Even in Blackouts. He was in Screeching Weasel for around 25 years before relations between himself and Ben Weasel fell apart. The Mopes are a side project for such well known Pop Punkers as Dan Vapid, B Face, and Dan Lumley. Even In Blackouts was considered one of the bands in the forefront of acoustic punk. Jughead acknowledges that this may be possible but more likely he was just trying to do something he hadn’t done before, and was guided creatively by the band’s lead singer, Liz Eldredge. Jughead has also written two novels, Weasels In A Box and The Last Temptation of Clarence Odbody. He has written over 25 long form plays and has played on around the same amount of records. Dabbler and the luckiest boy in the world. Having studied animation, film, photography, graphic design, illustration, and storyboarding in college, he became friends with John Jughead Pierson, and over a couple years did several fliers and the first two album covers for the band Screeching Weasel. From there, he began a career in graphic design, after impressing someone at a cross dressing birthday party. With a summer job as assistant graphic designer at the Ravinia Festival under his belt, he worked a few years as a temp, working for multiple clients. At another birthday party he met his future former wife, who introduced him to someone in the video game industry. 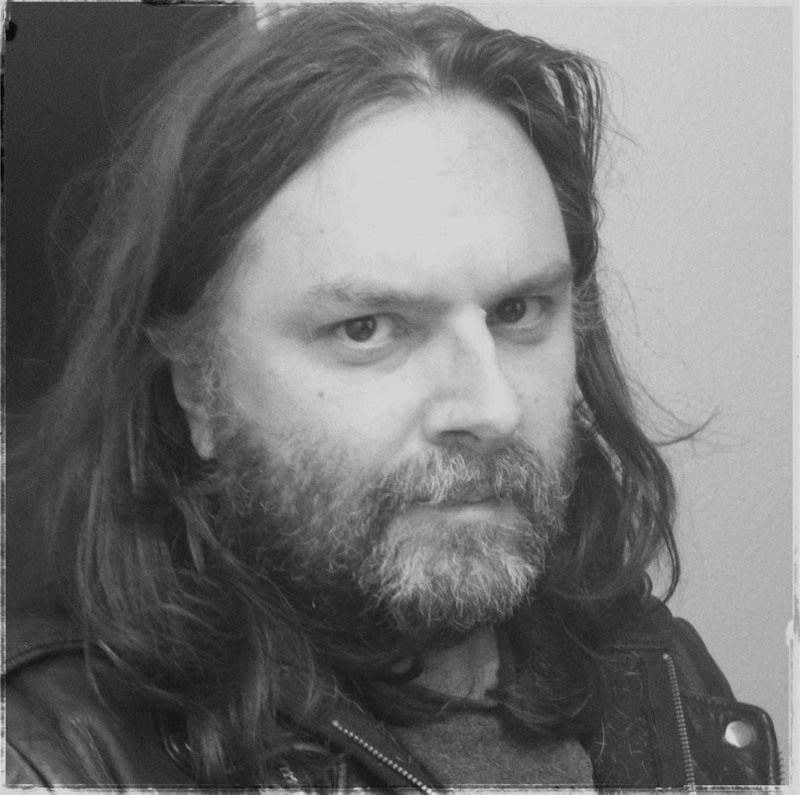 After three years at a company in the Chicago suburbs, he was made aware of a vacancy at Bungie, and through pure dumb luck (and a lot of hard work), spent 12 years there working as an environment artist on seven shipped Halo titles, also suggesting the word ‘Halo’ for the game. In 2012 he retired from the game industry to reset, and is now refocusing on personal work and portraiture for friends, returning to his roots as an illustrator.